Erupted on 19 September 1994, burying the town of Rabaul in ash. The Rabaul caldera, or Rabaul Volcano, is a large volcano on the tip of the Gazelle Peninsula in East New Britain, Papua New Guinea, and derives its name from the town of Rabaul inside the caldera. 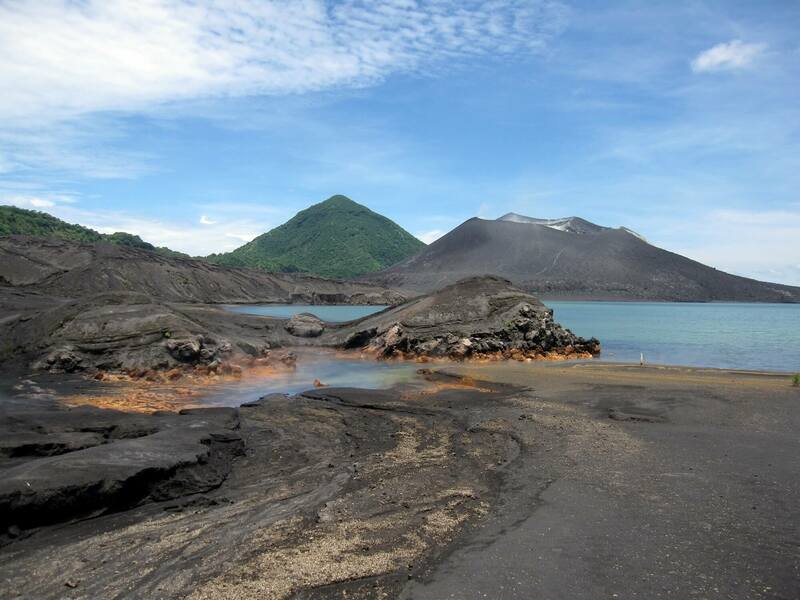 The caldera has many sub-vents, Tavurvur being the most well known for its devastating eruptions over Rabaul. The outer flanks of the highest peak, a 688-metre-high asymmetrical pyroclastic shield, are formed by thick pyroclastic flow deposits. There is no sign of a pyroclastic shield along the rim of the caldera, making the location likely underwater, on the caldera's floor. Tavurvur, a stratovolcano and a sub-vent of the caldera, is the most visibly active, continuously throwing ash. In 1994 it, and nearby Vulcan, erupted and devastated Rabaul; however, due to planning for such a catastrophe, the townsfolk were prepared and only five people were killed. One of the deaths was caused by lightning, a feature of volcanic ash clouds. In 1937, Vulcan and Tavurvur erupted simultaneously, killing 507 people. This event led to the founding of the Rabaul Volcano Observatory which watches over the many active volcanoes on Papua New Guinea. One eruption over several days in March 2008 released a plume of ash and water vapor that drifted northwest over the Bismarck Sea.